What conditions does Sirolimus treat? Tell your doctor right away if you have any serious side effects, including: nausea/vomiting that doesn't stop, yellowing eyes/skin, dark urine, muscle pain/cramps, bone pain, increased thirst/hunger, frequent urination, hearing problems (such as hearing loss, ringing in the ears), unusual tiredness, fast/slow/irregular heartbeat, easy bruising/bleeding, mental/mood changes, swelling ankles/feet, severe headache, dizziness, stomach/abdominal pain, missed/heavy/painful periods, signs of kidney problems (such as change in the amount of urine, frothy urine), pain/redness/swelling of arms or legs, swelling abdomen. List Sirolimus side effects by likelihood and severity. Before using this medication, tell your doctor or pharmacist your medical history, especially of: liver disease, high cholesterol/triglyceride levels, cancer, any recent/current infections. What should I know regarding pregnancy, nursing and administering Sirolimus to children or the elderly? Some products that may interact with this drug include: ACE inhibitors (such as benazepril, lisinopril), other drugs that weaken the immune system/increase the risk of infection (such as natalizumab, rituximab, tacrolimus). Does Sirolimus interact with other medications? Should I avoid certain foods while taking Sirolimus? 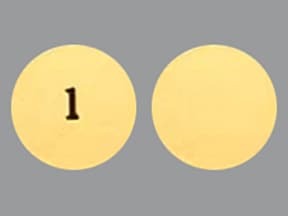 This medicine is a yellow, round, coated, tablet imprinted with "1". 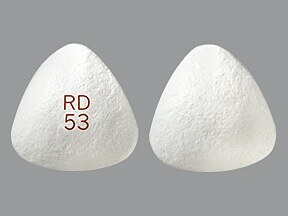 This medicine is a white, triangular, tablet imprinted with "RD 53". 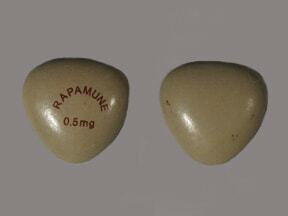 This medicine is a tan, triangular, tablet imprinted with "RAPAMUNE 0.5 mg". 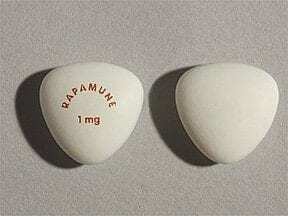 This medicine is a white, triangular, tablet imprinted with "RAPAMUNE 1 mg". 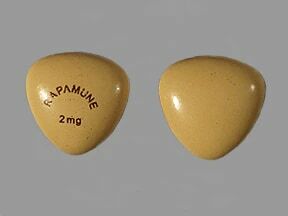 This medicine is a yellow, triangular, tablet imprinted with "RAPAMUNE 2 mg". 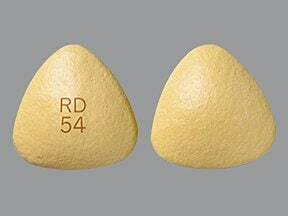 This medicine is a yellow, triangular, tablet imprinted with "RD 54". Are you considering switching to Sirolimus? How long have you been taking Sirolimus?